Turn heads and make an impression with an aggressive new intake growl under acceleration. 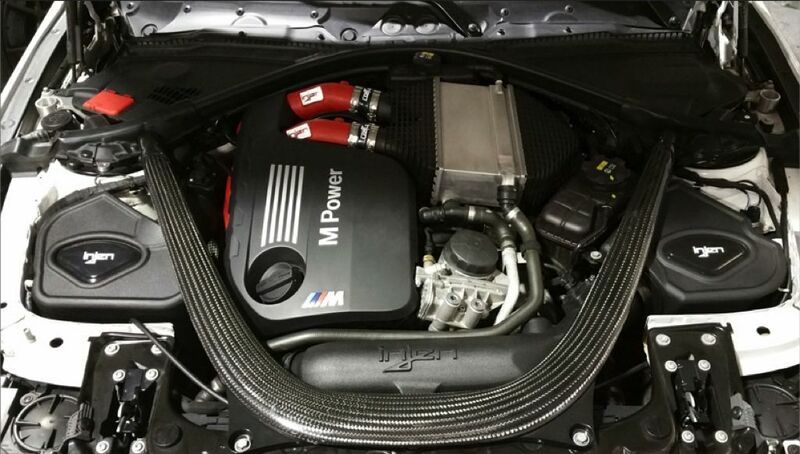 Accelerate past the competition with the gains that this larger inlet air scoop and induction tube will give your M3/M4. 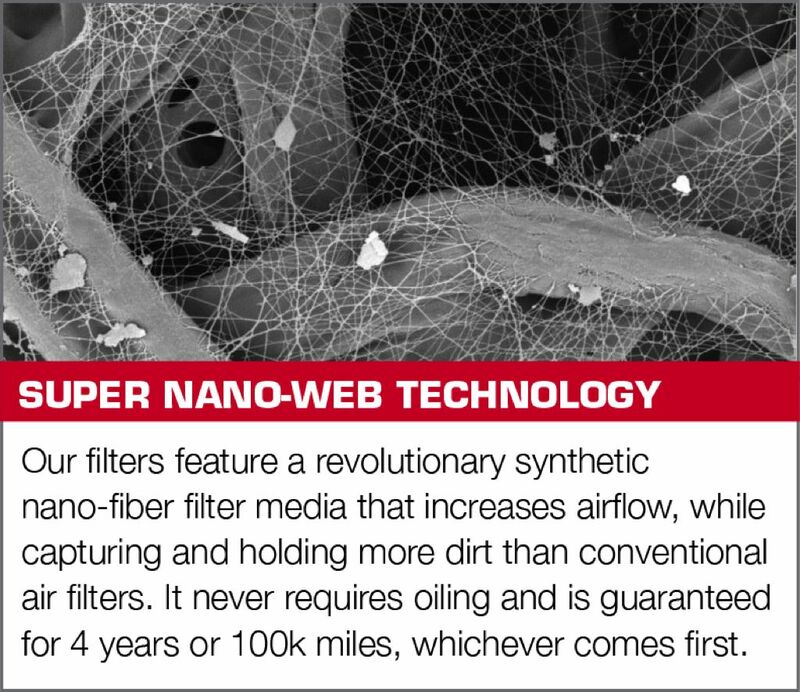 The SuperNano-Web Filter will last you a lifetime. This quick and easy to clean filter will save you tons of money on filters which you can spend on more mods for your BMW. 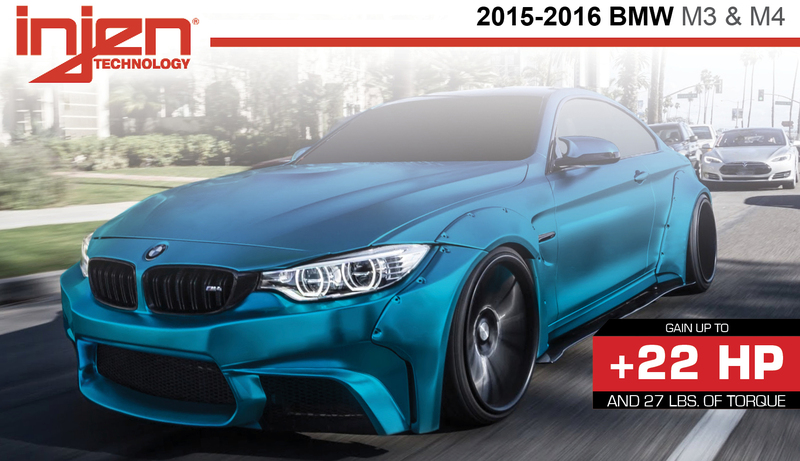 The Injen intake system for the 2015-16 BMW M3 & M4 is fully enclosed in the black roto-molded housing. 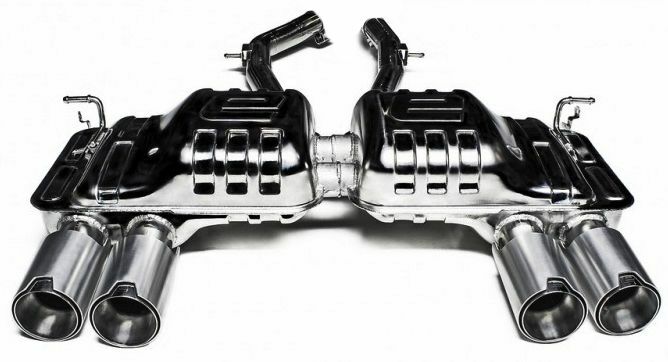 The heat-insulated black roto-molded tube replaces the stock intake track, and has been engineered to direct the increased air flow into your engine to produce maximum performance. This intake system is equipped with the Injen SuperNano-Web Dry washable and reusable air filter for long life and multiple cleaning cycles. With Injen's new Twist-Lock System the SuperNano-Web Dry air filter locks securely into place. 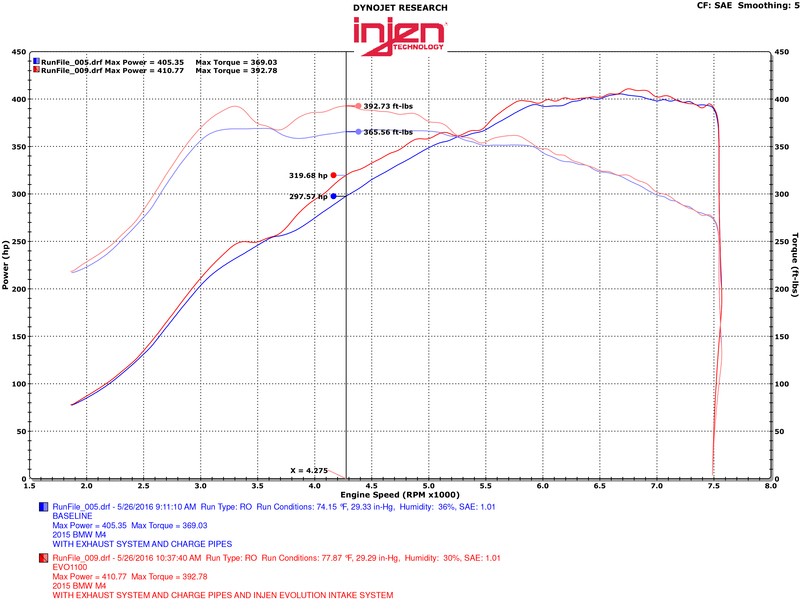 Injen's intake system also has a sealed intake housing that keeps out the warm air that is produced from the engine, and brings in cooler air from the outside for maximum performance. This intake system also comes with a built in ClearVue window for quick and easy filter inspections without disassembling your intake system. With Injen's new design that has a larger inlet air scoop and induction tube, this intake system will give you an extra 22 horsepower and 27 lbs of torque!